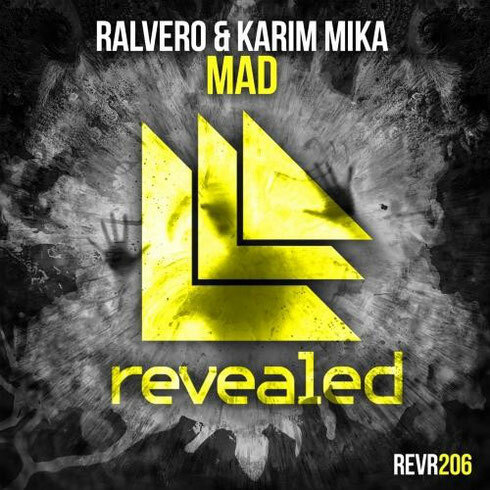 Both Ralvero and Karim Mika have made their individual marks on Revealed in recent months, with both having tracks featured on the ‘Revealed Volume 6’ compilation at the start of the summer. Now the Dutch duo move into winter with their debut collaboration ‘Mad’. ‘Mad’ wastes no time in ramping the energy, with tight percussion, pounding kicks, and throbbing basslines that may well get you stomping your feet and pumping your fist. The best part of the track is the main riff, which turns it into a possible proper main stage track, with a deep sonic landscape that highlights the pair’s ability to tune the finer points of studio production on top of creating a club-friendly production. Ralvero and Karim have their own respective talents, apparently each having garnered the support and respect of some of the biggest names in the scene over the duration of their careers.